In 2018, experts estimated that a little over 3 billion people use social media. As we know, that number is only growing. Because of this number, we also know that if you're not leveraging social media to help your business grow, you're sorely missing out. Social media for business is even more important now than it was a few years ago. It helps businesses connect with customers in ways they never could have before, and allows them to reach even the most niche of groups. Read on for some of our top tips for business owners to keep their social media profile not only alive, but also make it profitable. If you're establishing yourself on social media, you'll need to be findable. Gone are the days of creating long Internet handles like Pixiedust873253. A social media name like that is now not only outdated, but also incredibly difficult to find. Imagine trying to type in all of those numbers just to find your business... the average user isn't going to bother. Therefore, you need to make it quick and easy. If your business is called Flower Power, you'll need all of your handles to be FlowerPower, or something very closely related. Some people become wary of advertising on social media, but it can be a very productive way to increase your visibility. Social media advertising should be part of your advertising budget, as it is a way to uniquely reach people you would never have previously. Don't advertise to anyone and everyone, but be sure you have a clear demographic of who uses your product or services before you begin to advertise. Create the ideal purveyor of your product or service in meetings with your staff and decide on who exactly you want to market to. Social media allows you to zero in on people exactly like your target demographic and your ad will show up on his or her feed. This makes it a great way to find new customers to add to your roster. While you don't have to create the next viral video, creating shareable content is a great way to promote your business. Shareable content is anything that people want to share with others. For example, funny cat videos or quotes about life work well as shareable media. It should be tied in some way to the product or service that you're offering, but it doesn't necessarily have to. If enough people share the content, it will drive people back to your social media or website. But, make sure that you watermark your creations so that people know you created it and know where to go to find its origin. Don't start your social media profiles expecting for millions of people to flood your content at once. Instead, you'll want to grow over time, building a loyal and consistent audience. The audience will hopefully interact with your content, as well as purchase your goods and services. This site gives you some great food for thought on how to grow your business and create sales through social media. This author discusses self-publishing a book about sales and how he was able to gain a reputable audience and make a full-time income, but his approach can apply to anyone looking to leverage social media. A social media account with one million followers isn't worth anything if it is dead or has very little interaction. However, a social media account with 40,000 followers, all of whom are engaged and with the content, is worth a lot. The lesson: don't try and accumulate followers just to have them and gain clout. In the long run, people will be suspicious if your followers don't interact with you, and followers that don't interact with you are no good anyway as they don't purchase your services or goods. Therefore, stay away from buying followers just to look more prominent. If people haven't heard buzz about you, but you have 500,000 followers that don't look real, they'll start to believe you've bought them. And in the end, it's not a good look for anyone. It can even make your business less trustworthy. Don't post on social media whenever it strikes your fancy. That's fine for your personal account, but your business account should be pragmatic and constantly full of new content. Create a schedule of uploads. Most social media apps can show you where your followers live and what time of day they respond to new content most effectively. Use this data to help you keep on top of new posts. If you're a small team, you can dole out the social media duties, putting different people on them ensuring that you keep up your schedule. You may even have one person devote an entire day early in the week to getting the posts out for that week. Luckily, you can set posts to go up later, so you can always create the post and set it to go live when most of your users are online. The key to developing social media for business is to ensure that you treat it as part of your business. Gone are the days when social media was just for wasting time, now it is a serious way to get your business out there and attract new customers. 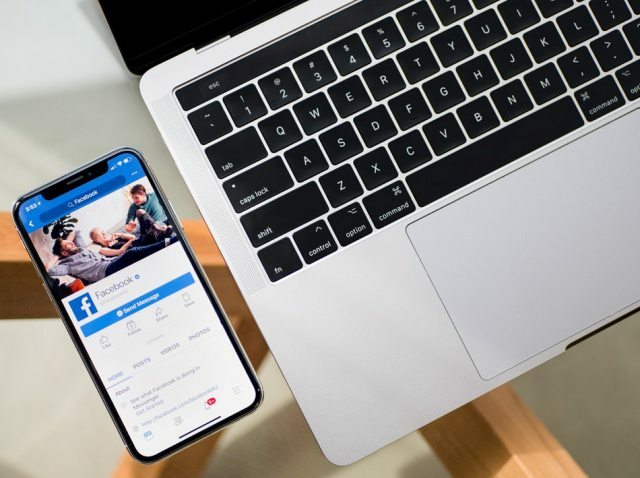 For more information on social media marketing, read our article about why you should be using Facebook as a tool to reach new customers.